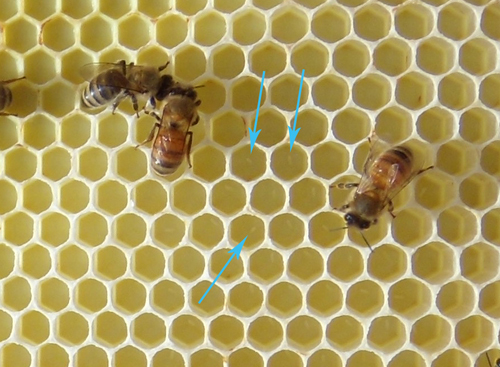 While inspecting our bees today we caught one of our queens laying eggs! Very interesting to see. At 0:13 and 1:03 she lays eggs. You can also see a worker bee feeding her at 0:27. For those of you wondering what bee eggs look like, here you go. They look like super tiny grains of rice. 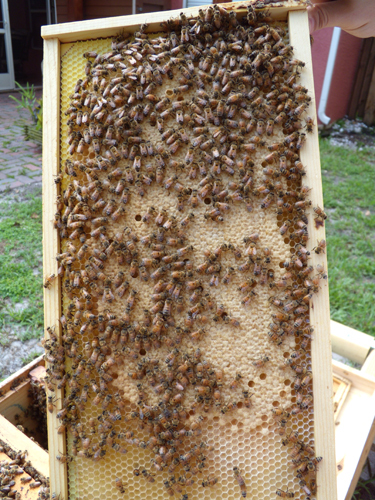 This is new comb our bees built and the queen laid eggs in it already. After she lays her eggs, the worker bees will take care of the larvae and cap the cells. That is then what we call capped brood. Here is a nice example of newly capped brood.